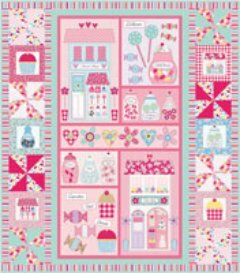 Free panel quilt patterns are a great source of inspiration when looking for ways to incorporate a favourite panel into a quilt. There are a good range of panels on the market today. Quite a few are designed to be used in children's quilts. For example there have been several Hungry Caterpillar panels available. 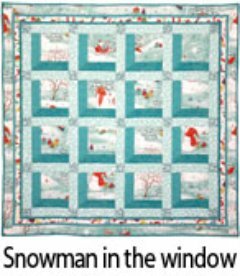 You will see several of these in the quilt patterns below. I used to think panels were there to make a quick quilt. While this may often be true it is not always the case. One very effective way to use a panel is when making a window quilt. Below is a great example of this. One really feels like one is looking out through the window. The Asian panels look especially stunning when used this way. Another way that panels are used in quilts is by cutting the panel up into squares and alternating these squares with a patchwork block using complimentary colors as seen in the borders of the Forest Friends quilt. Pattern courtesy of Andover. 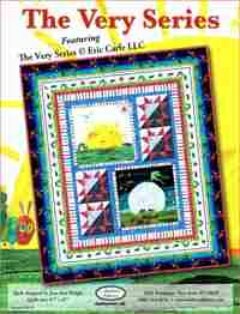 Bunny Hop Quilt Pattern. Pattern courtesy of Andover. Goodnight Spot Quilt Pattern. Pattern courtesy of Andover. Maisy Quilt Pattern. Pattern courtesy of Andover. Olivia Quilt Pattern. Pattern courtesy of Andover. 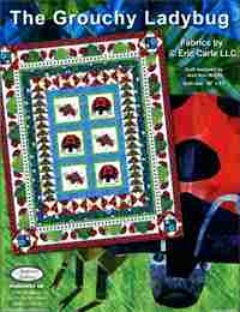 The Grouchy Ladybug Quilt Pattern. Pattern courtesy of Andover. 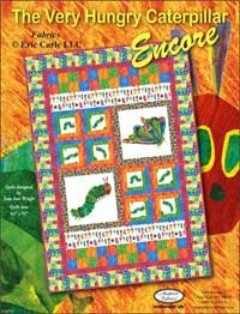 The Very Hungry Caterpillar Encore Quilt Pattern. Pattern courtesy of Andover. The Very Series Quilt Pattern. Pattern courtesy of Andover. 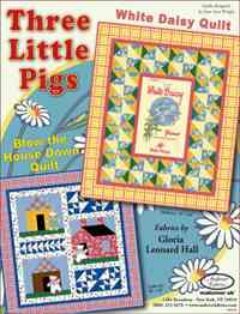 Three Little Pigs Quilt Pattern. Pattern courtesy of Andover. 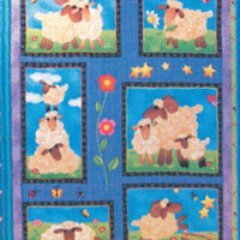 Wooly Friends Quilt Pattern. Pattern courtesy of Andover. 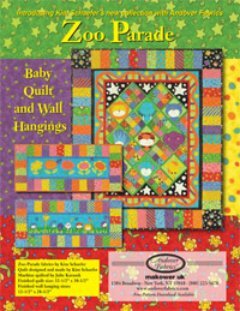 Zoo Parade Quilt Pattern. Pattern courtesy of Benartex. Oh Sew Sweet Quilt Pattern. Pattern courtesy of Hoffman. Boom Chick a Boom Quilt Pattern. Pattern courtesy of Makower. 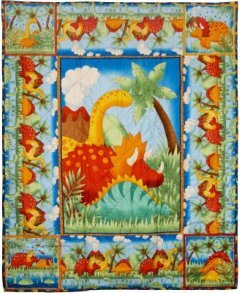 Dino Quilt Pattern. Pattern courtesy of Moda. 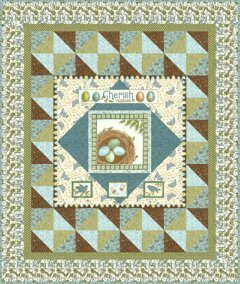 Cherish Nature Quilt Pattern. Pattern courtesy of Moda. 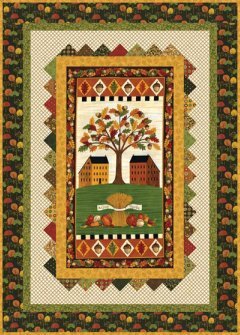 Saltbox Harvest Quilt Pattern. Pattern courtesy of Red Rooster. 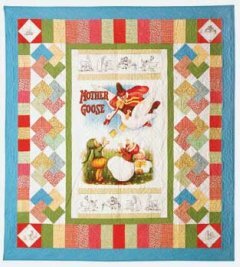 Mother Goose Quilt Pattern. Pattern courtesy of Timeless Treasures. Dress Up Quilt Pattern. Pattern courtesy of Timeless Treasures. Forest Friends Quilt Pattern. 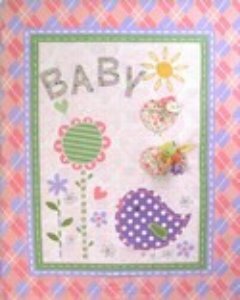 If you are new to quilt making then using these free panel quilt patterns is a great way to make your first quilt top. They are also great to use when you are beginning to learn the art of completing your own quilt. When learning the skills of free motion quilting a panel is great as there are usually different curves both right and left that need outlining as well as trialling some stitch in the ditch quilting. 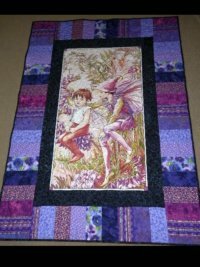 One of the first panels I used was for a single bed quilt that was to be used on a bunk bed. In fact I made two! Once completing the patchwork fronts I decided to use a panel on the back. 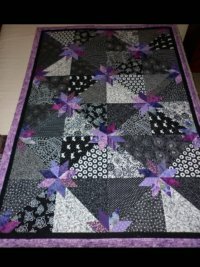 My motive here was to create a quilt that had both sides of the quilt that could be used as a front. One when the child was younger and the other when she decided the panel was too young for her! I hope you enjoy free panel quilt patterns!